‘The shop at Strood Green’ is a community-owned shop based in Betchworth, Surrey which was established following the closure of its local Post Office. In the space of nine months, the community raised over £80,000 to fund a local village shop and since opening in March 2009, the store already has a turnover of more than £6,000 a week. The shop secured a loan from The Co-operative Loan Fund back in October 2008 and has used the money to transform a run-down shop into the vibrant hub of the community. 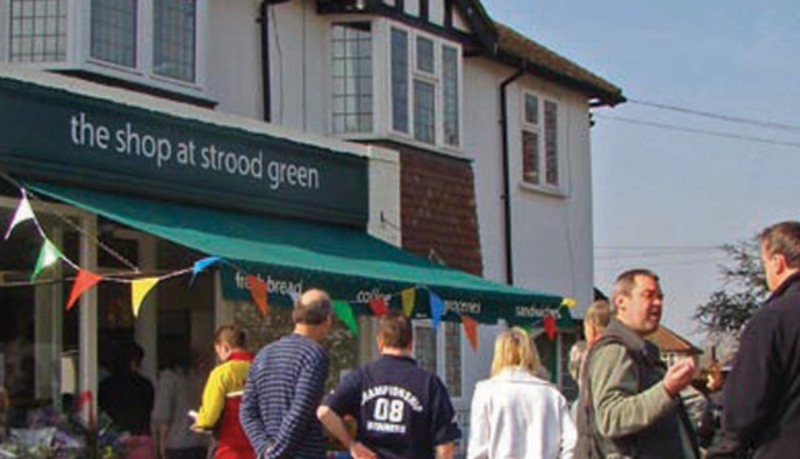 TheUKhas seen an influx of community shops in recent years due the closure of small village stores, and Strood Green has become the latest community-owned shop to benefit from the Village CORE Programme. As part of the Programme, the Co-operative Loan Fund works in partnership with the Esmee Fairbairn Foundation and the Plunkett Foundation to offer community-owned shops financial aid in the form of grants and loans, as well as a range of business advice to help support the community venture.